From the first pages of Medicus I was intrigued with the protagonist, Gaius Petreius Ruso, an Ancient Roman military doctor, and by his world. A Roman military doctor's job feels timeless in the hands of the author: soldiers' injuries from training, fights, and dangerous recreation; the local services surrounding the camp; under-staffing and less than perfectly-trained hospital personnel. The hospital humor even reminded me of the film and television show M.A.S.H., which was a dark-comedy set in a military hospital in Korea during the Korean Conflict. 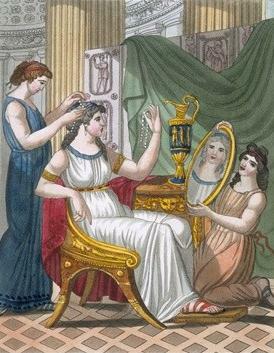 The element that stands out from the start of the book, however, is the element that should stand out in all novels set in the Ancient Roman Empire: slavery. The ownership of human beings, their exploitation, abuse, and treatment as commodities, is the vilest aspect of the sadistic Roman culture. 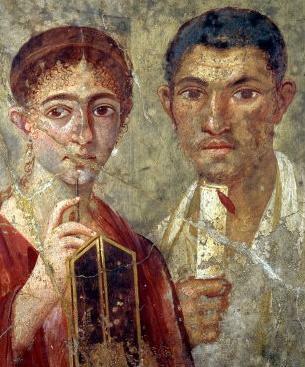 I have a problem with modern writers who give the Romans a free-pass for their slave-based society. The author of Medicus does not shy away from slavery; she actually makes it central to the story. Our first encounter with the great evil of slavery is in Chapter Two. It is also when we learn that Ruso has an innate compassion that he has purposely suppressed so he can survive in an institutionally sadistic society. 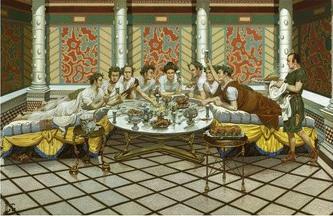 Roman society viewed compassion as a weakness to be overcome. It was only the spread of Christianity that voiced the conviction that slavery, and the torture and killing of people and animals for entertainment, were sinned against God's wishes. So Ruso, a doctor, must hide his compassion, and struggle with the torment that evil creates in the compassionate person's soul. 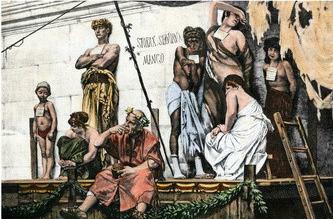 Medicus takes place circa 117 A.D. Roman Emperor Trajan dies and Hadrian is his successor. 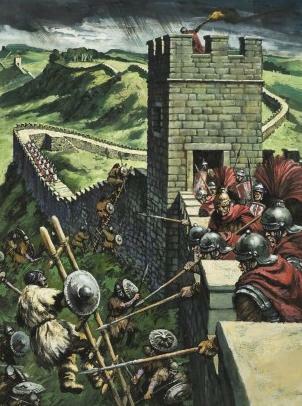 If you know your Roman history, which this author does, despite what some poorly informed reviewers suggest, that means that the defense of the limes (external borders) of the Roman Empire will be strengthened, including the building of a defensive wall in Northern England. 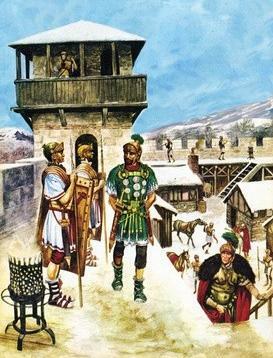 Ruso is just arrived in Roman Britain, Britannia, a province that is "big enough to count, but remote enough not to matter". 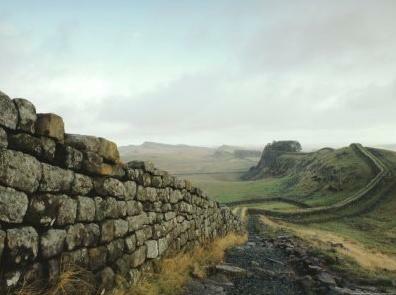 Throughout the Ruso Series, the events of Hadrian's reign play a part in the story-lines. 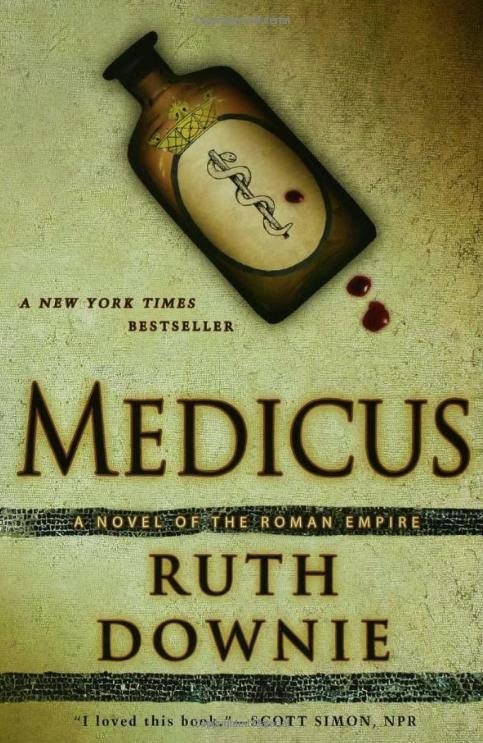 Medicus's subtitle is A Novel of the Roman Empire. It is not billed as a An Ancient Roman Mystery Novel because it is not one. Medicus is similar to Rosemary Sutcliff's classic Eagle of the Ninth in the way the dramatic story is supported by an underlying mystery. The principle story of both books is how the diverse cultures, Roman and Celtic, co-existed and eventually married in Britain. 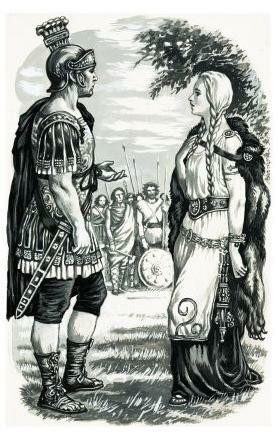 That marriage was often literal as thousands of Roman soldiers from all over the Empire "went-native" with a local woman. A Celtic woman in Medicus, Tilla, has a relationship with the Roman Ruso that moves through the novel from the oppression of a master over a slave, and the oppression of a doctor over a patient, to an eventual trust, respect, and love that can only exist between equals. She was in the white room again. The familiar pain was pulsing through her arm, but instead of her own bones looking back at her, the arm was hidden in side of thick bandage and strapped across her chest. So. She was still in this world. The door was opening. She closed her eyes. A hand was laid on her forehead. In the ugly sound of Latin the man announced that it was not a fever. Tilla reflects on her dreams, like the "sun with four-corners", which is the light coming through the Roman window. She hopes she did not call out in Latin because, like all slaves, she struggles to keep her identity by hiding facts about her real self, such as her ability to speak her oppressors' language. She also hides her name, which is her most precious piece of "self". She was not about to offer her name to a stranger. It was almost the only thing she possessed that nobody had stolen. I think Medicus is a well-written character-study of two people, and a historical romance novel rich with humanity. Like all good romances, the two people, Ruso and Tilla, begin by seeming worlds apart, and by the end of the book they seem a perfect fit. They make a good couple, better together than they are apart, and they share the same values. Ruso and Tilla have much in common. They are both children of comfort who have fallen on hard times, both live in a land not their own, both were trained as healers and are proud of their heritage and knowledge, both are compassionate and bound by a sense of duty. They both struggle with their religious faith, which is shaken by the evil around them. They both seek purpose in life, and a code to live by, and try to live up to high moral standards. The couple also complement each other. Tilla finds it easy to communicate, when she wants to, and she makes friends easily; but Ruso finds social interactions difficult, and he forms friendships thanks to his stalwart nature rather than through social skill. Tilla has a keen eye for beauty and for her surroundings, seeking to make both as attractive as possible even if she lives in a cell or a hovel, or if she is dressed in rags. Ruso's keen eye is only for his interior state, and for his patients' needs; he is neglectful of his surroundings and of his personal appearance. Tilla is impulsive and secretive, while Ruso is reflective and uncomfortable keeping secrets. From reading some readers' reviews, I suspect that a marketer once thought it would be a good idea to promote Ruth Downie's Ruso Series with the line "If you like Lindsey Davis's Falco, you'll love Ruso!" Whomever did this, did Ruth Downie and book-buyers a disservice. The two series are like chalk and cheese, as the British say; they are not comparable. Davis's Falco Series is a first-person narrated, joke-filled, spoof of 1940s hard-boiled detective fiction, set in Ancient Rome. It is dotted with Roman history lessons that read as if they came straight from Wikipedia, presented like "Roman History For Dummies" from Falco's mouth to the reader. Downie's Ruso Series is a third-person-limited narrated, serious-themed work dotted with dry humor, written in the style of a Traditional British Mystery (think Dorothy L. Sayers), set in Ancient Rome. The history of the period is embedded in the story, with the author wearing her vast knowledge lightly. Because the author does not present the history pontifically, I have actually seen reviewers scoff at the a "dubious" history of very Roman things in Medicus, such as divorce, brothels, hospitals, medical capability, public administration, taxes, loans and debts, a postal service, and the use of inches and miles. Briticisms also seem to be a problem for some readers, such as the word "corn", which is a generic term for "grain", and not the American "corn" which comes on a cob, which is actually, officially, called "maize". The author's subtle, dry humor, is another cause for confusion for some people, who must be used to a broad, in-your-face kind of humor. The author can also handle the broad comic set-piece with skill, but she uses it sparingly. Much humor in Medicus comes from the fact that Ruso does not set out to investigate anything. But because no one else tries to find the culprits who murdered two young women, the townspeople anoint Ruso their champion. That the ancient world was like ours, appears to stun some readers, if you read the low-rated reviews. They seem to expect the past to be foreign to us, but the author skillfully shows us that wherever people live under a similar system of a unifying bureaucracy paid for by taxes, with a similar capitalistic economic system funded on credit, society will shape itself into a lifestyle that we, in the "West", will find recognizable. Human nature is the only constant through time, which seems to be another surprise for some readers of the Ruso Series. Again, the author skillfully shows us the truth of this, and that today's professional soldiers have much in common with their predecessors. And the town that exists around the Roman Military Fort would be recognizable to anyone who has seen the towns that surround U.S. Military Bases around the world. I mention these reviewer-confusions because they strike me as unfair criticisms of this fine book. Hopefully, after reading this review, you know what you are buying if you purchase Medicus or the other books in the Ruso Series. Don't believe marketers who try to sell the series as something it is not. For me, Medicus was a book to savor, to read slowly, to enjoy for the romance, the characters, the history, and for the portrayal of the constants of humanity through place and time. Gaius Petreius Ruso is a divorced and down-on his luck army doctor who has made the rash decision to seek his fortune in an inclement outpost of the Roman Empire, namely Britannia. His arrival in Deva (more commonly known as Chester, England) does little to improve his mood, and after a straight thirty six hour shift at the army hospital, he succumbs to a moment of weakness and rescues an injured slave girl, Tilla, from the hands of her abusive owner. Now he has a new problem: a slave who won’t talk and can’t cook, and drags trouble in her wake. Before he knows it, Ruso is caught in the middle of an investigation into the deaths of prostitutes working out of the local bar. A few years earlier, after he rescued Emperor Trajan from an earthquake in Antioch, Ruso seemed headed for glory; now he’s living among heathens in a vermin-infested bachelor pad and must summon all his forensic knowledge to find a killer who may be after him next. Who are the true barbarians, the conquered or the conquerors? It’s up to Ruso—certainly the most likeable sleuth to come out of the Roman Empire—to discover the truth. With a gift for comic timing and historic detail, Ruth Downie has conjured an ancient world as raucous and real as our own.